Advaita, or the belief that everything is one, is a beautiful concept, but it is difficult to accept it in real life. The concept or philosophy does not fit into the jar of human experience. You cannot theorize it with empirical evidence. As long as your eyes are open and your mind is active, all that you see around is duality. Your perception, cognition, and every other mental and physical activity, rest on the experience of duality. You cannot brush it away as an illusion, just to prove your loyalty to an idea or philosophy that you yourself cannot always experience. 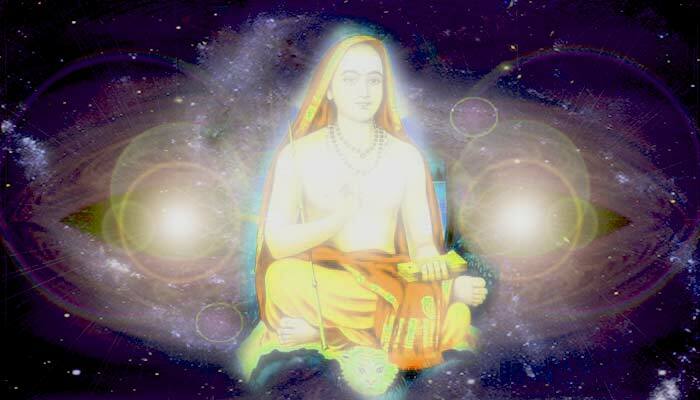 Even Shankara, I believe, had a problem practicing his very ideas of Advaita in real life. If he did not believe in duality, if he was so absorbed in the idea of Advaita, I am perplexed to know why he composed a whole scripture on the goddess (in Soundarya Lahari), praising parts of her body, her beauty and powers? If Brahman and Brahman alone is true, the goddess must be an illusion. Then why did Shankara, the protagonist of monism, would shower so much praise on her? Did he forget the idea of monism when he composed that scripture, or did he never compose it but someone else composed it and used his name? We cannot also say that it was an exception, because he wrote encomiums (stotras, pancakams, and ashtakams) for several gods and goddesses, besides visiting all major Shakti temples that were located in India, and installing peace yantras. You cannot experience the unity of existence in the diversity of life, or when you are fully awake. You may enter it when you are in deep sleep, but since you are not there consciously, you cannot explain what happened then. It is even difficult to say whether in the state of samadhi you enter the witness state or sleeping state, because for most modern yogis, samadhi is a deep sleep state, which they mistake for samadhi. I once saw a guru dozing off on the podium, in front of a large gathering, because he just came from Australia after a long flight. Obviously he was tired and sleepy but agreed to see the followers because they were waiting for him for long. Once the singing (bhajans) began he fell asleep, still sitting in the chair in front of the audience. He probably did did not want to displease them or disappoint them by walking away. However, his dear devotees reverentially thought that their master was in deep meditation and entered samadhi. However enlightened you may be, your body still needs rest and recuperation. The guru was no exception. His devotees took cue from him. They stopped singing and started meditating, hoping to receive the energy he was radiating! In the wakeful state, you can only imagine the state of unity but not experience it. You can use your imagination to extend your identity beyond your mind and body to the whole universe. Even it requires a lot of effort, since you have an ego and the notion of separation is strongly etched in your consciousness. However, you can do it at least for a brief time by silencing your mind, pausing your thoughts, identifying yourself fully with the whole existence, as if the universe is your body and the space is your soul. The thought or the idea that you are the universe does not lead to any déjà vu experience, but it can give you a glimpse of how the universe may feel if it were a single Being with a consciousness of its own. Indeed, the truth that monism (Advaita) in Hinduism is a total failure cannot be missed. It can be guazed from the fact that most Hindus are deeply caught up in their caste, color, linguistic, national and regional identities. If they are really grounded in the idea of monism, they should have only one identity, the universal identity, or the identity with Brahman and Brahman alone. I am not sure how many people believe in it or experience it. While no one can prove the unity of all life and existence, you can still use the idea to overcome your pettiness and small thinking and look at the world with the eyes of the universe. You can use it to cultivate an expansive vision and appreciate life, with greater compassion and understanding. Today the world is deeply divided. There is a lack of trust, appreciation and understanding amongst us. Violence and deception have taken deep roots. The conflict is going to intensify as resources become scarcer, and nations have to compete aggressively for them. In such circumstances, we need a higher awareness and spiritual understanding which can come from our appreciation of the unity of life. Although the world is characterized by diversity, we can still perceive the underlying unity in some aspects of life such as the following. All beings are born with the same genetic material and bodily organs. There is a lot common between us and the rest of the living beings. We all live on the same planet and share the same resources. In most situations we think and act alike. We are vulnerable to the same problems, diseases and threats. The welfare of the world depends upon the welfare of all. Our consciousness, more or less, operates in all in the same manner. At the subtlest level, we are just beings of energy and particles that are universally present in both animate and inanimate objects. When we act in unity our strength and abilities multiply exponentially. Individual actions create ripples in the ocean of life and impact others. I think for most us, who are grounded in perceptual reality (or illusion?) the idea of monism or the oneness of life should imply principles such as the above mentioned ones, whereby we can appreciate our uniqueness and preciousness and live more responsibly and responsively. By contemplating upon them and accepting them as the guiding principles, we can learn to respect life, treat people with respect, show compassion towards all living beings and overcome our racial, caste, regional and other prejudices and preferences. We should respect our uniqueness, accept our exceptional abilities, and acknowledge the importance of diversity, but treat the world as each of us would like to be treated. I think this is what a practical person can take away from the philosophy of Advaita to become a better human being and progress on the path of unity, tolerance, harmony and acceptance.